Improve your work efficiency with dual scanning. with the KV-S7097, scanning is possible from the ADF or flatbed, depending on the document. It has a multi-crop feature where various sized documents can be placed on the flatbed and simultaneously scanned. Then, the needed segments can be cropped. The “digital imprinter” enables additional printing to the scanned image data. order forms, invoices, sales reports, and other large-volume documents in various sizes and thicknesses into data.Featuring the same speed and durability as an A3-size scanner, the KV-S2087 relieves the office staff from much of the bothersome work of scanning. Work smarter and get more done with the new advanced, KV-S1057C workgroup color scanner. Engineered to enhance document imaging workflow and information management, the KV-S1057C features the fastest speeds in its product class. Scan all kinds of mixed documents quickly and at the highest resolution. 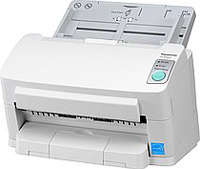 With a robust paper feed mechanism and advanced image quality functions, the KV-S1057C offers the performance and reliability that businesses count on. Now you can scan all kinds of documents faster, easier and more reliably with the new advanced KV-S1027C scanner. From extremely thin paper and embossed ID cards and passports, the KV-S1027C can handle practically any kind of mixed document imaginable. Designed for high performance and low maintenance, it enables you to get more done in less time, at an outstanding value. 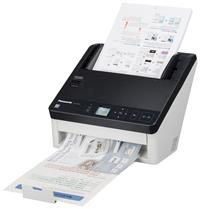 The Panasonic KV-S1026C scanner is the quick and easy way to transform your paper documents to high-quality digital files, allowing you to manage, send or upload them to the cloud with just the touch of a button. Its compact design and intuitive operation make the KV-S1026C a perfect fit for small to medium size businesses, offering users straightforward set-up, innovative functionality and a host of advanced features. The Panasonic KV-S1015C scanner is the quick and easy way to transform your paper documents to high-quality digital files, allowing you to manage, send or upload them to the cloud with just the touch of a button. Its compact design and intuitive operation make the KV-S1015C a perfect fit for small to medium size businesses, offering users straightforward set-up, innovative functionality and a host of advanced features. 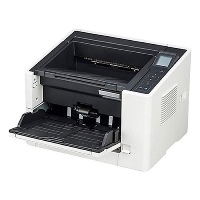 The Panasonic KV-S1045C workgroup scanner is an affordable high-output, 40 ppm/80 ipm duplex, full-color document scanner optimized for high-volume front-office deployment in vertical markets such as healthcare, insurance and financial services, transportation, and government. 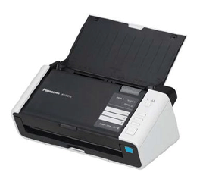 The KV-S1045C features mixed batch document scanning with multiple hard cards, automatic image orientation, and ultrasonic double-feed detection. 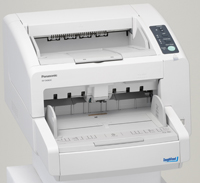 Panasonic’s KV-S4065CL/CW scanners use a reliable, industry-first paper feed mechanism to quickly detect stapled documents and halt scanning to minimize damage to the optical glass and the document. They also sense double-sheet feeding to prevent misfeeds. 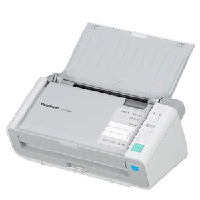 The KV-S4065CL/CW compact desktop scanners feature a rugged, durable design and reliable paper handling with a 30,000 page per day scanning duty cycle.